Hi there! I just had to share this mani I did with my current 2 favorite polishes. I used Sinful Colors Sinful Shine in Most Sinful and Sinful Colors Why Not Neon. I added a little sparkle with a stripe of Studio M Platinum Record! Enjoy! Awww that blue is so gorgeous - lovely mani all in all!! Lovely combo! They're just so bright! 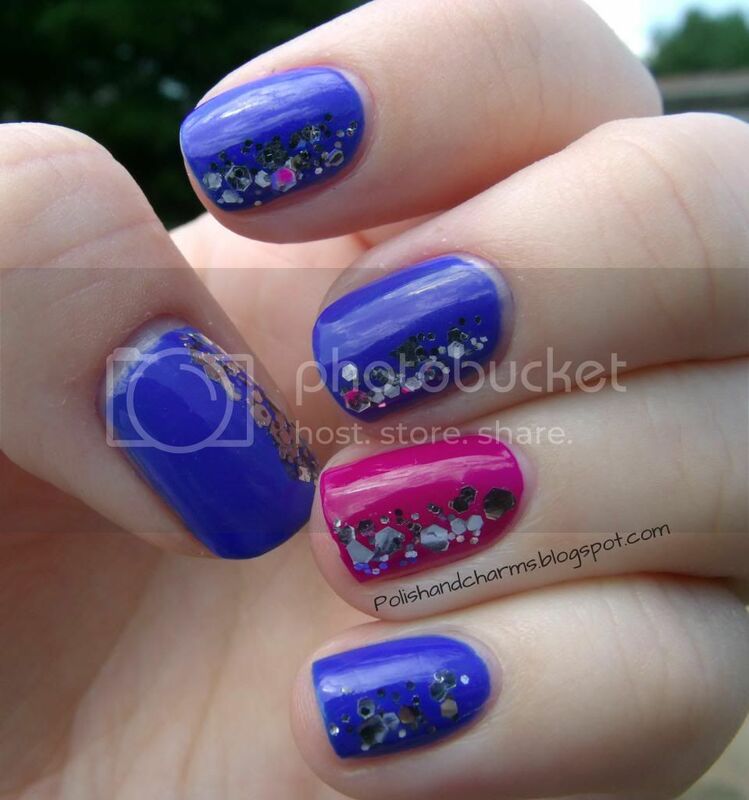 love the colors and glitter placement! I love the side swipe of glitter you added. This is gorgeous!